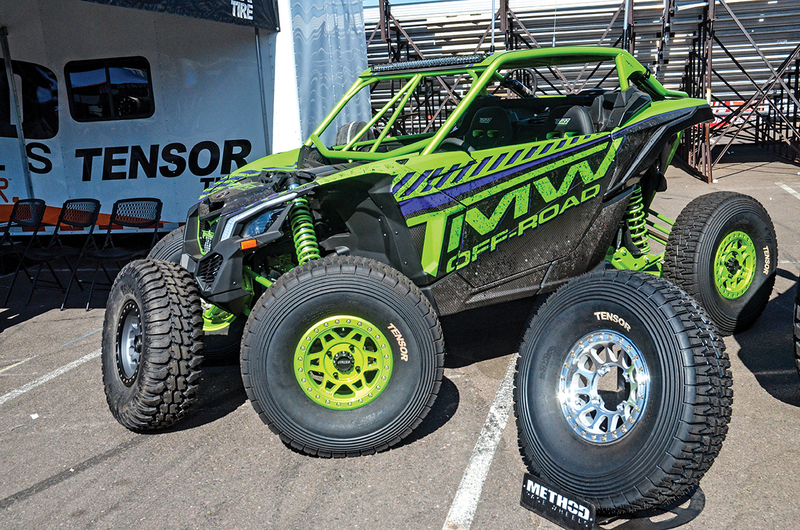 Geiser Performance had two of the trickest Maverick X3 builds at the Off-Road Expo, with one of them for sale for $65,000. Geiser also makes an inner clutch housing liner ($99.95); it’s made of 5052 aluminum and strengthens the housing to prevent damage in case the CVT belt breaks. 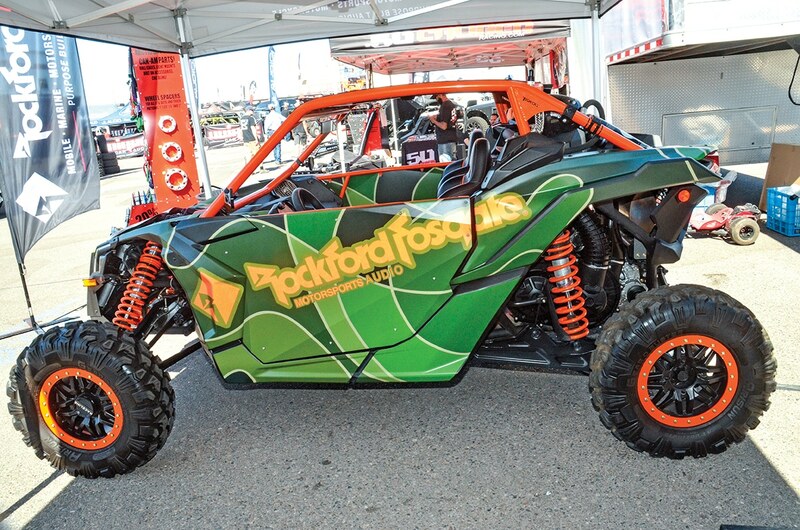 Rockford Fosgate’s Maverick X3 build features Arizona companies TMW Off-Road (www.tmwoffroad.com,  969-9261) and BS Sand Seats (www.bssand.com, (877) 9BS-SAND). See www.rockfordfosgate.com. interested owners should call (702) 265-4822. 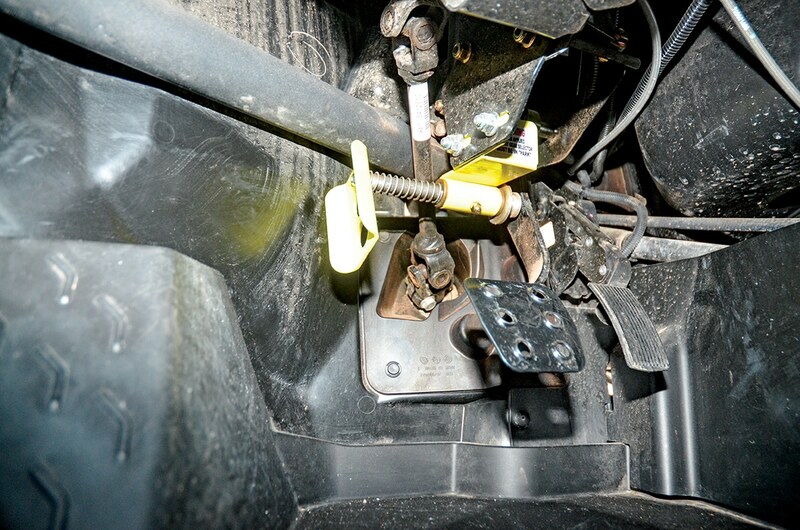 Duners and rock crawlers need to air down and up often, so Ezzo Products made this under-seat compressor mount. 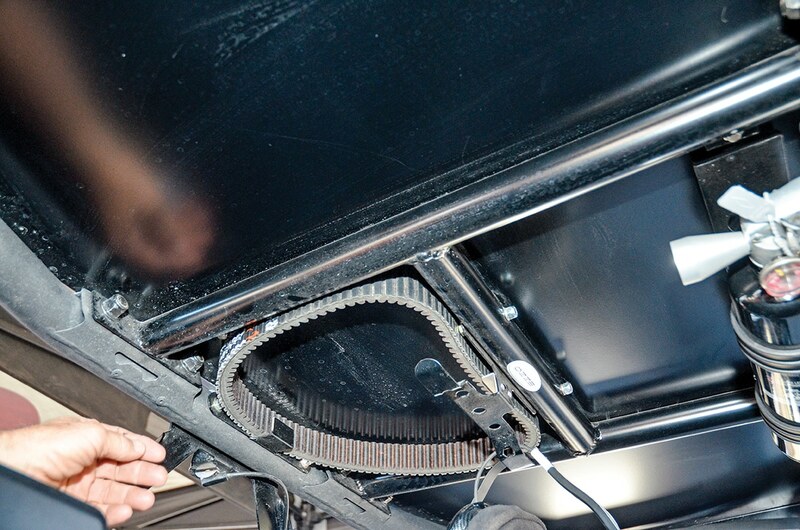 The bracket with mounting hardware is $35, and it’s designed to place a Harbor Freight Pittsburgh air compressor under the driver’s seat for airing all four tires. These cool L-brackets are slotted and use the existing bolts on the top X3 A- and B-pillars to mount lit whips or LED pods for $25 a pair. They’re designed so the plates can go below or above the mounting bolts and tilt for aiming lights. Or, use them to mount video cameras. another spare belt bracket in back for $40. See www.scorpion-lok.com/ezzo-products.html. 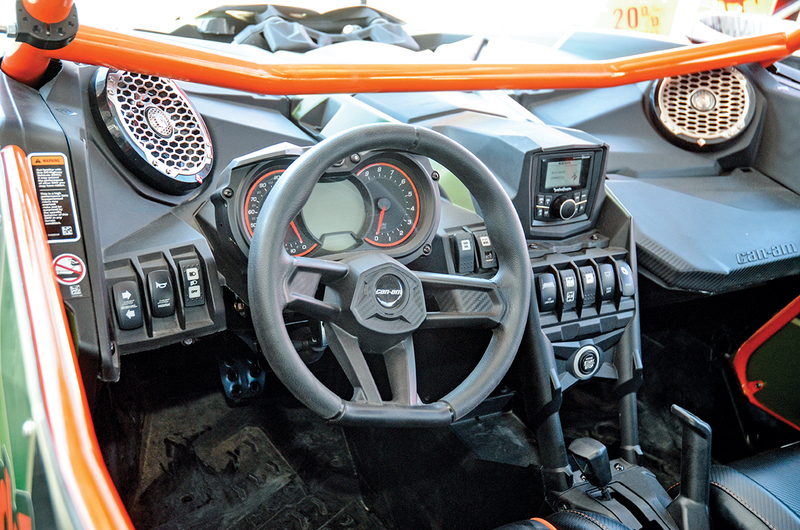 Ezzo also has a kit with four interior panels to cover the battery (even an oversized one), ECU/fuses (both vented for cooling) and two plates for the center console starting at $135. For the center console with a Rugged Radio X3-MT mount, the kit is $145. 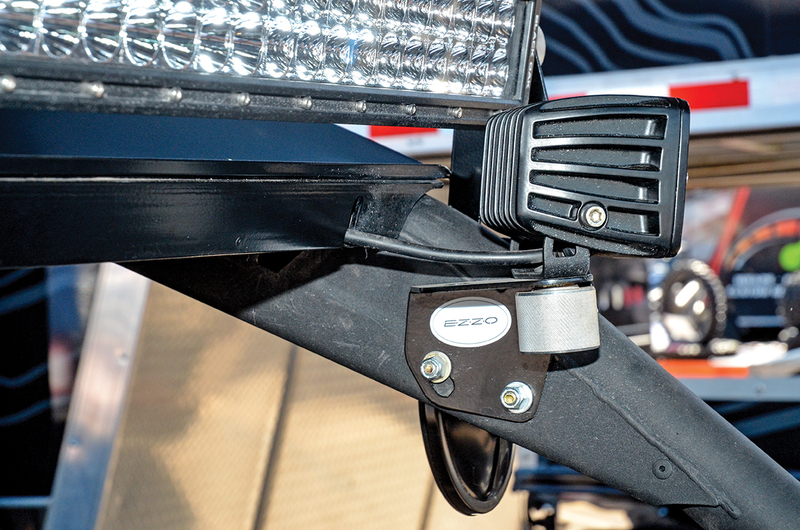 Also using the OEM bolts on the A-pillars, Ezzo’s 50-inch light-bar mounts are made of high-strength steel and come with mounting hardware for use on all X3s for $25 a pair. chromoly for strength. See them at www.geiserperformance.com. 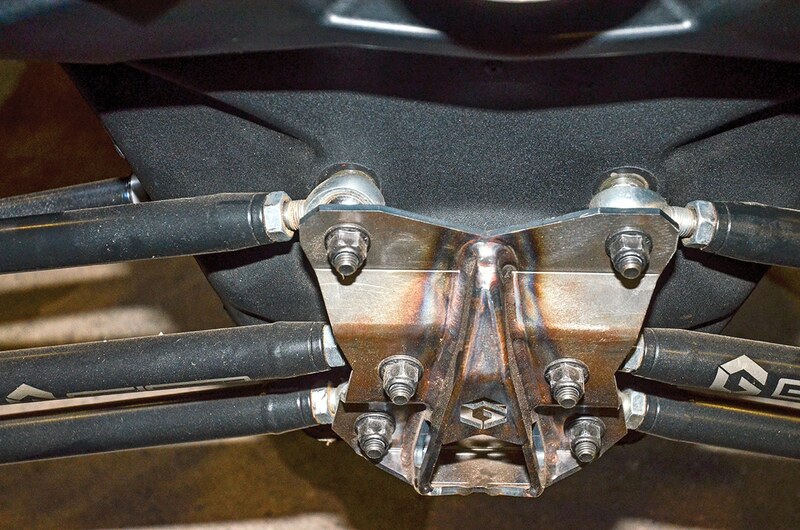 The Geiser Performance link plate is constructed of 0.188 4130 TIG-welded chromoly steel and powder-coated black for $152.95. 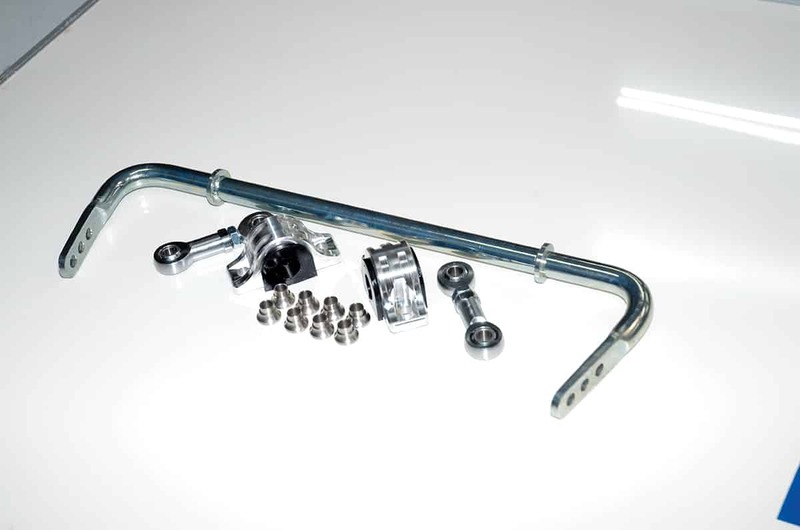 Or, get the link plate with Geiser H-D 4130-steel radius rods with adjustable rod ends for $1,187.95. The six radius rods go for $1,089.95 separately. Geiser’s front bumper fits all X3s and has heavy-duty tubes powdercoated black for $417.95. 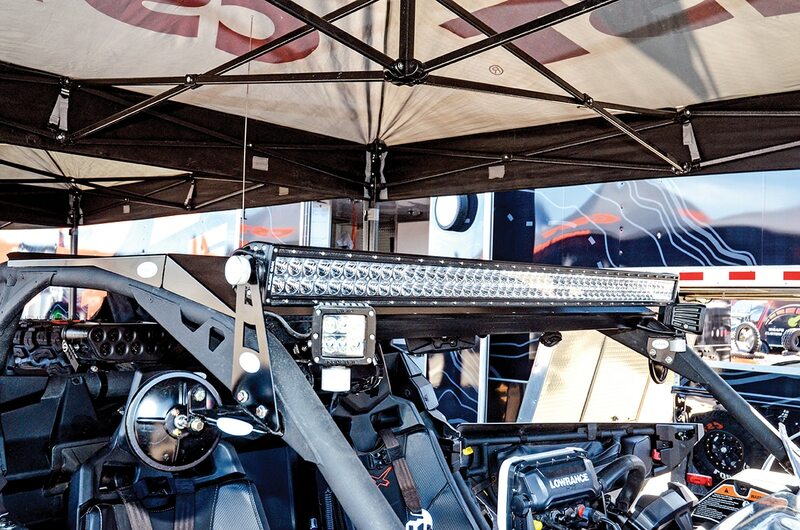 The light bar and mounts are extra, as are other colors. 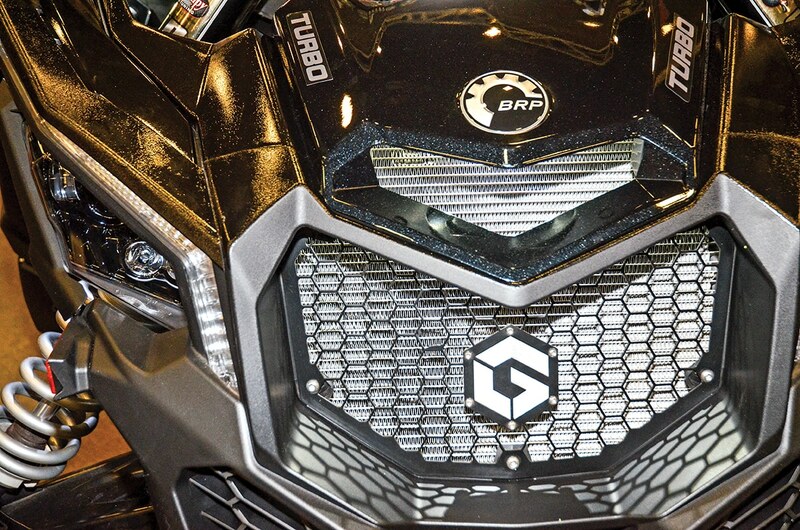 The Geiser Grill replaces OEM plastic with a CAD-designed 5052 aluminum grill that increases cooling airflow to the radiator for $65. The X3 bed is more of a rear rack. 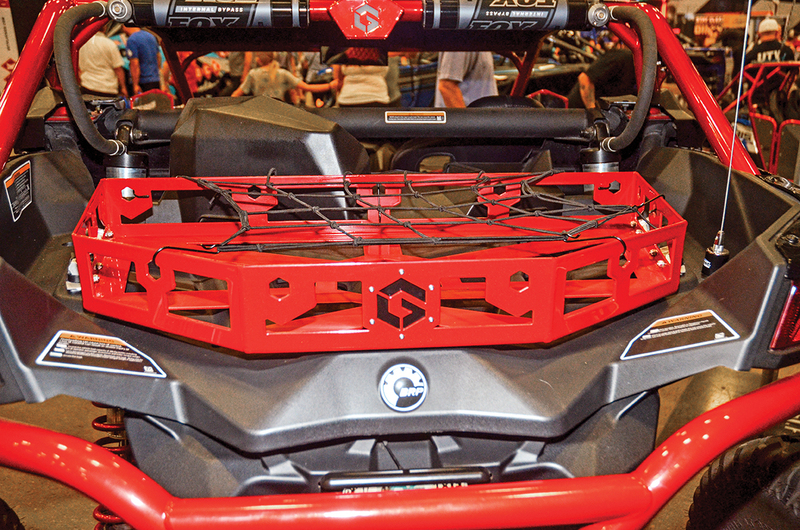 Geiser’s cargo rack adds a secure way to carry a cooler, bags or whatever else you want to bring. 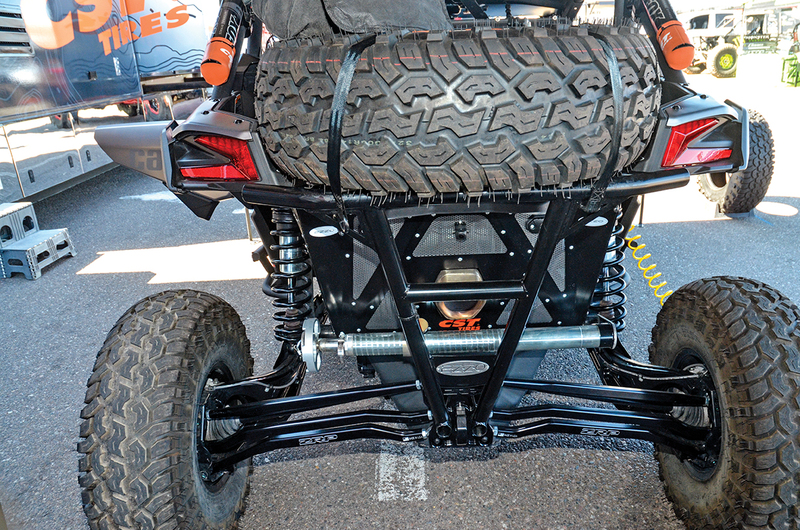 The raw cargo rack is $259.99, and black powdercoated racks are $299.95. Add four LinQ anchors and MSRP is $339.95. Add a small bag and cost is $398.95. With a large bag, it’s $418.95, and with a small and large bag, the rack is $477.95. Geiser adds style and functionality with this shift knob, which is made of billet 6061 CNC-machined aluminum and coated black for $87.95. They also have a gated shift plate with raw 5052 aluminum for $42.95 or black powdercoat for $52.95. 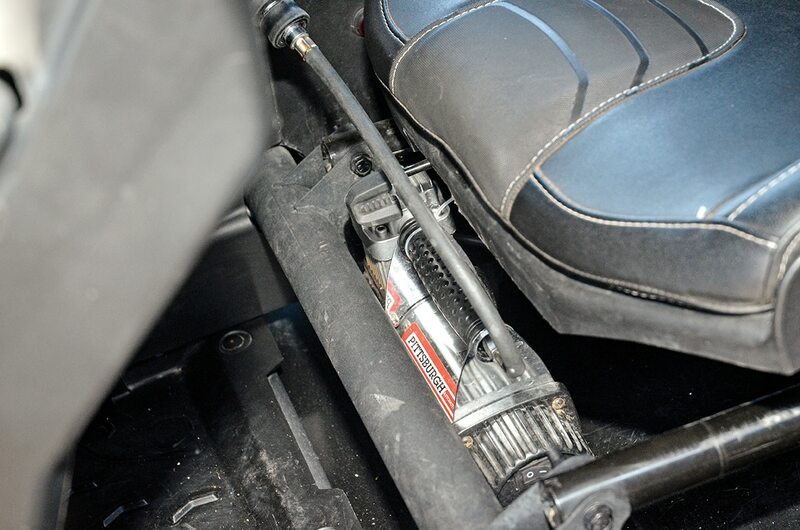 It’s machined for a fast reverse-to-low drop. carrier ($450), removable light-bar tube mounts ($100–$150), and rear light-bar housing wing ($500). 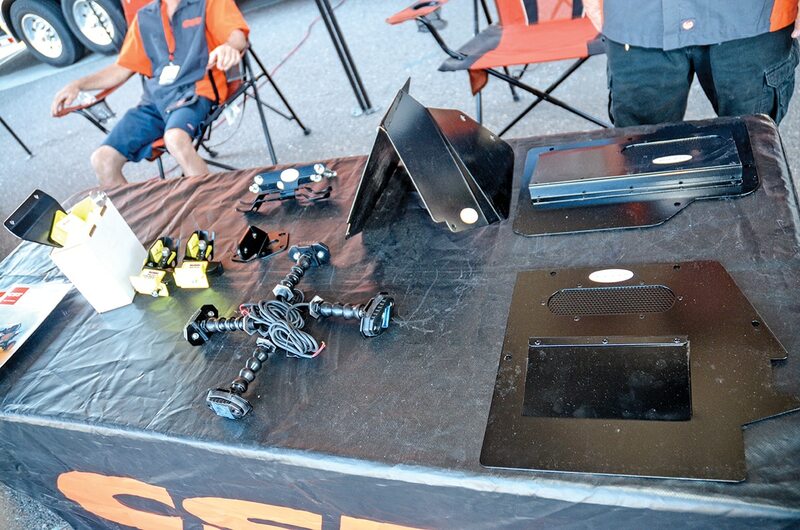 Call (805) 279-0801 or see www.landspeedengineering.com. 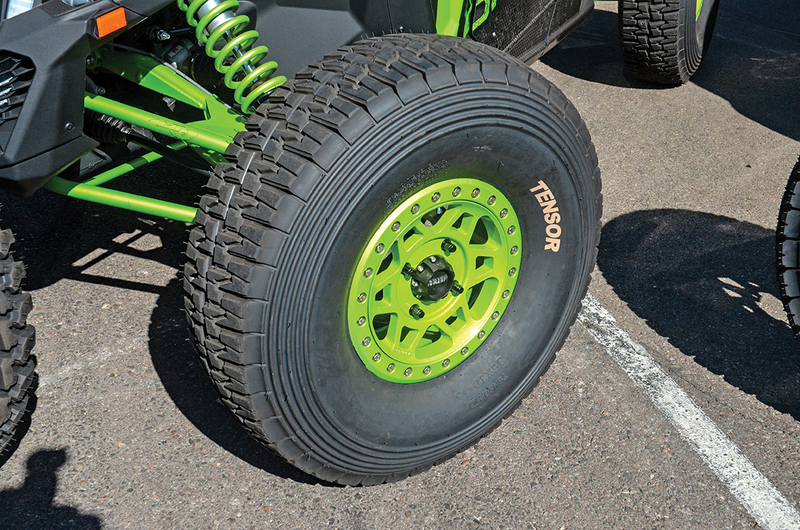 Method’s new 401-R is a race-inspired 15×5-inch beadlock wheel for a small contact patch delivering nimble handling in desert racing, and it comes with no offset (2.5+2.5) and 46mm (5+0) offset. 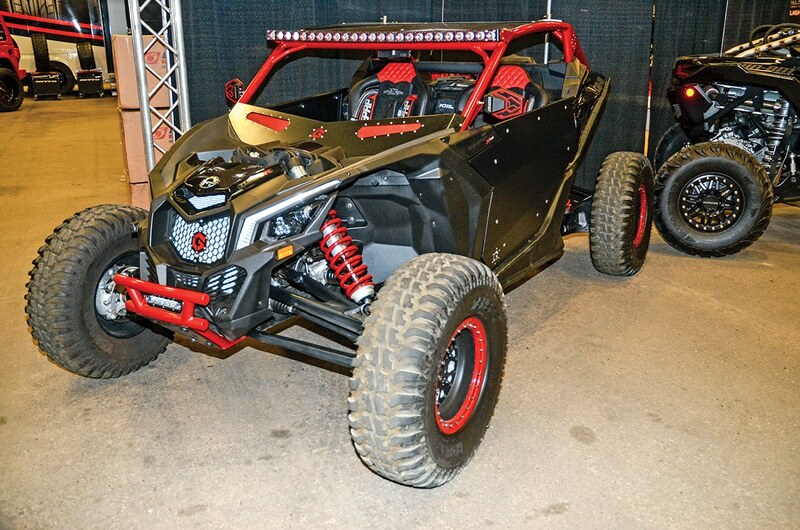 Each is load rated to 1600 pounds and has an MSRP of $249.50. 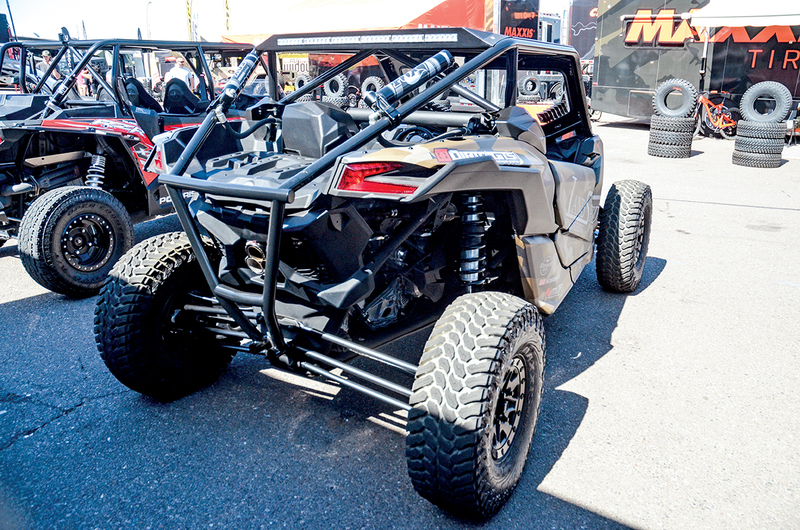 We featured Sandcraft’s upgraded X3 carrier bearing ($240) at the previous AZ Expo, and Sandcraft RCR now has an X3 limit-strap kit with front and rear limit straps and mounting hardware. Up front the two top mounts replace the X3 torsion-bar top mounts, and each block has an adjustable clevis. 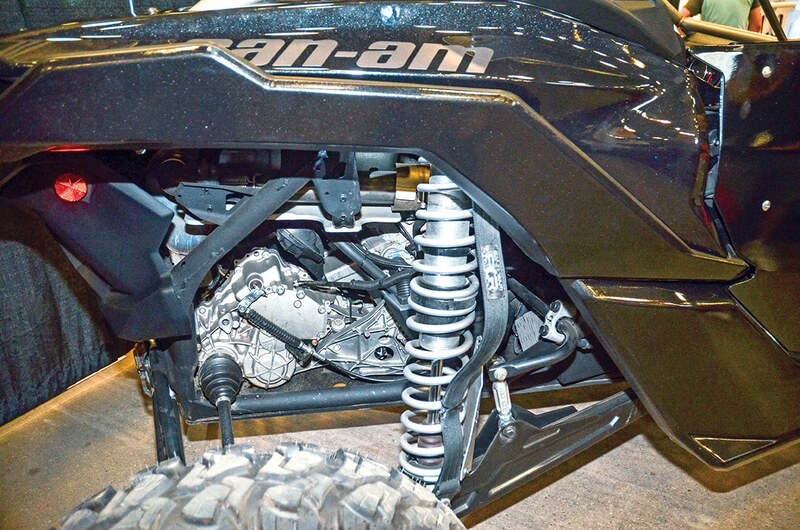 The lower-front mounts and both rear-strap mounts are longer shock bolts with spacers. 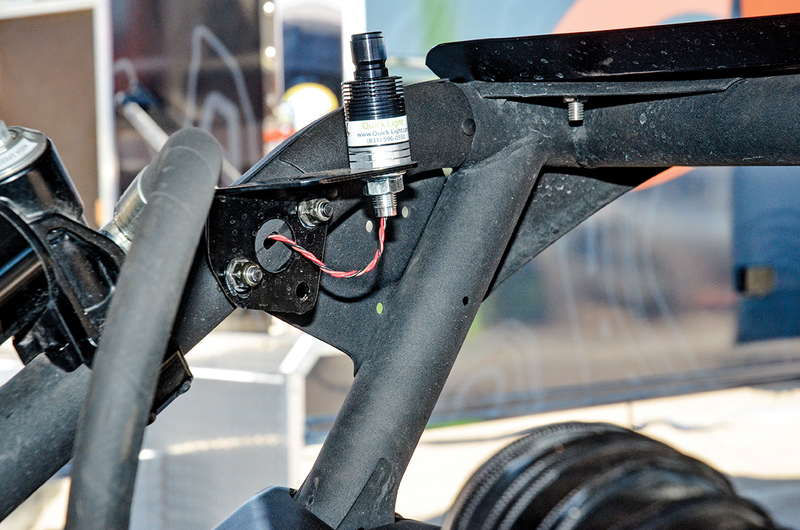 Limit straps protect the shocks, CVs, axles and steering components from shock at full extension. See www.sandcraftmotorsports.com or call (480) 539-4438. How loud do you want to go? 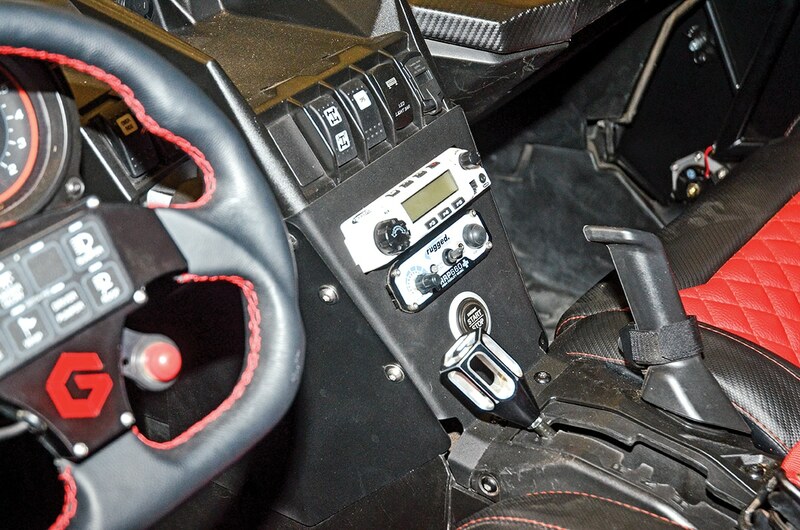 Rockford Fosgate has the X3 covered with Stage 1 through Stage 5 kits. This X3 build has Stage 2 with PMX-2 Punch Marine Compact AM/FM/WB digital-media receiver with 2.7-inch display and dash-mount kit and two 6.5-inch RM1652B Prime marine full-ranger speakers and enclosures ($699.99), plus the Stage 3 ($549.99) add-on rear speaker kit with two more RM1652W-MB speakers with wiring harnesses and die-cast clamps. 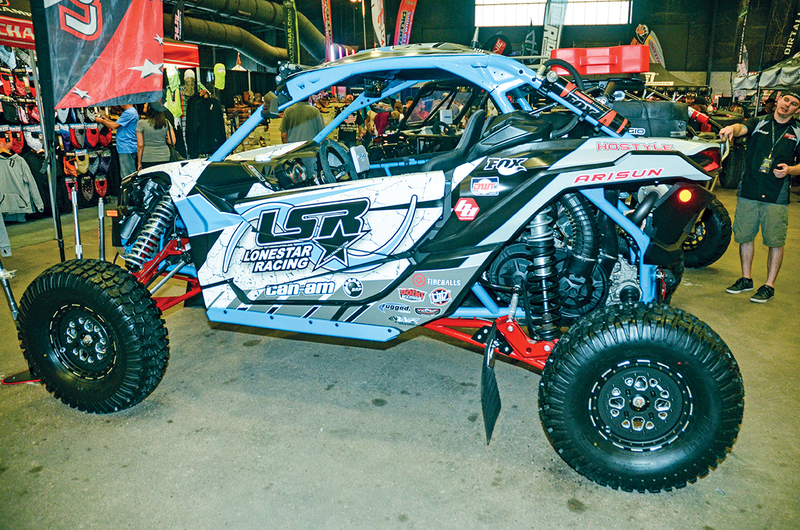 LoneStar Racing’s MTS suspension kit is +3 inches wider per side in front and +2 inches wider per side in back than X rs Mavericks and MTS maintains stock wheelbase. 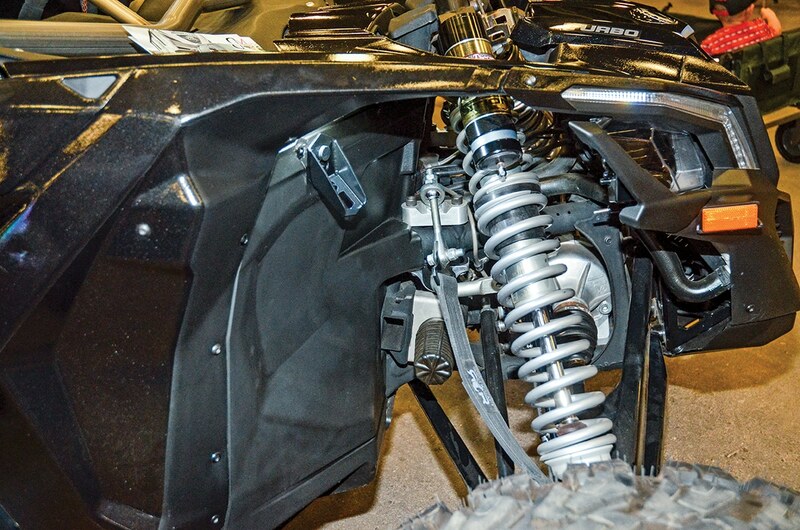 The X3 MTS kit comes with high-clearance A-arms and trailing arms, tie-rods, radius rods, radius-rod double-shear gussets, radius-rod plate, rear mud flaps, front sway-bar links and all necessary hardware for $5900 (raw). Arms are 4130 chromoly tubes, rod ends a 5/8-inch, and A-arms have 7/8-inch balls with 300M pins. Powdercoating is another $300, and LSR 300M axles are $300. Call (800) 457-7223 or see www.lsracing.com. TIG welding for $150 or intrusion bars for $75. Call (480) 969-9261. 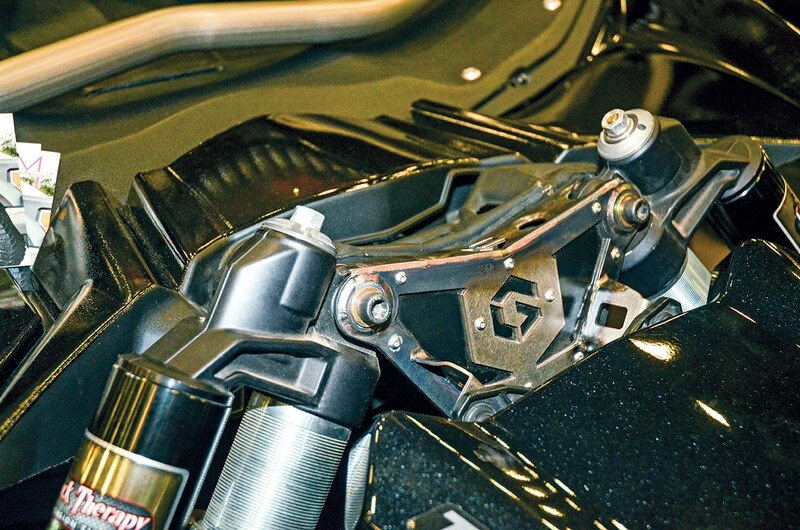 Shock Therapy’s front torsion bar starts out 10-percent stiffer than stock, and each mounting hole inward stiffens the bar another 10 percent. MSRP is $549.95. Ride quality is incredible when combined with ST’s Ride-Improvement System (X ds, $650; X rs, $750) valving, Series 6 IBP mods ($399.80) and dual-rate spring kit ($995) on the X3 X rs and Max X rs. 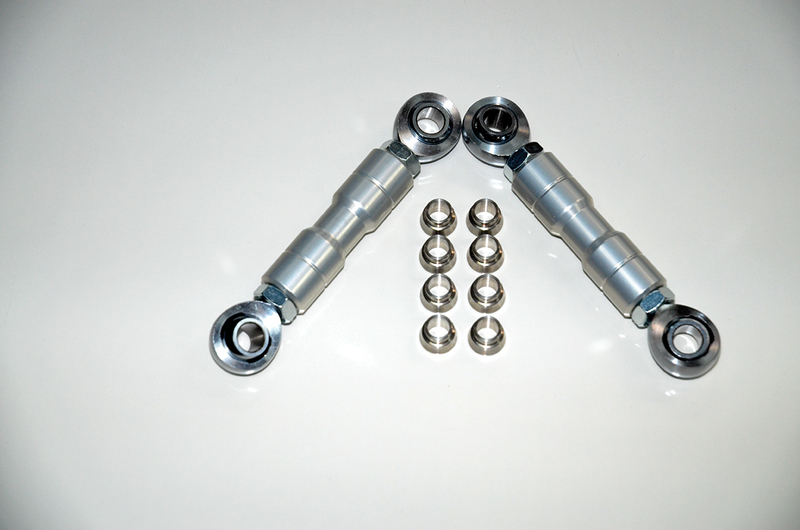 The bar kit includes billet links and mounts. 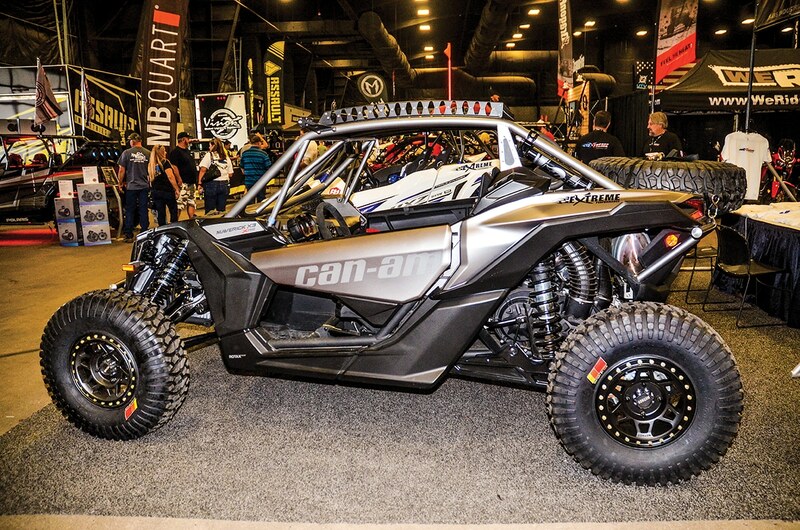 Maverick X3 X rs models come with 30-inch Maxxis Bighorns,and X rc X3s come with 30×10-14 Maxxis Liberty tires on all four corners, but X3 desert racers are going bigger. Based on the Tensor DS32, the new Desert Series 35x10R15 has improved tread pattern, ribbed shoulders for extra puncture prevention for $399.50 each (shown on Method 405 Beadlock rim, $249.50). 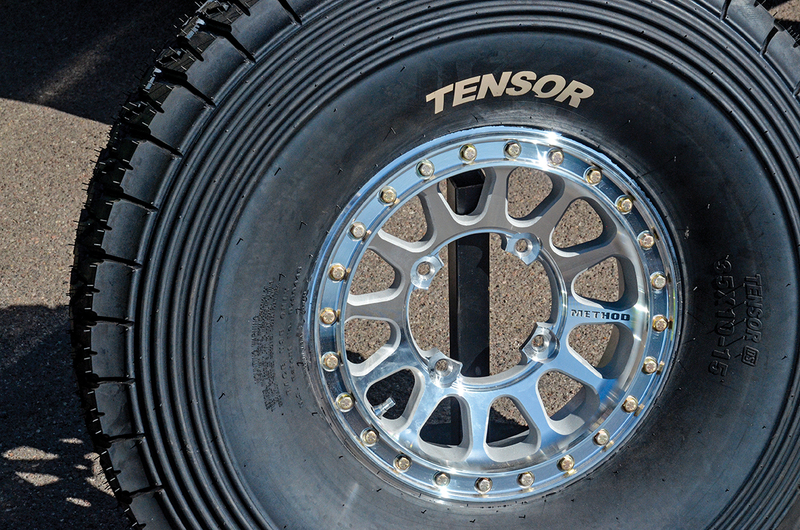 Call (866) 779-8604 or see www.tensortire.com. TMW’s Stealth X3 doors are a stylish addition and conform tightly to OEM plastic lines for a dust-free ride. 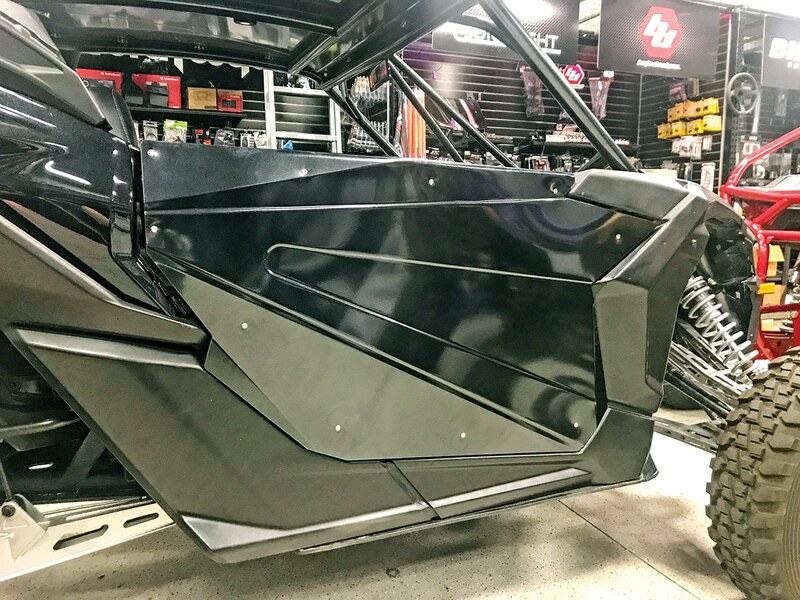 Laser-cut tubular frames use the OEM pivots and latches with aluminum latch handles and attach to the lightweight aluminum skins for $799.99 a pair. X3 Max doors are $1,599.99 for all four.